Tickets for Bowlmor Times Square New Years Eve 2020 are currently not on sale. Bowlmor Times Square, the area's largest bowling alley complex, stands proudly smack dab in the heart of Manhattan's bustling and historical Times Square! 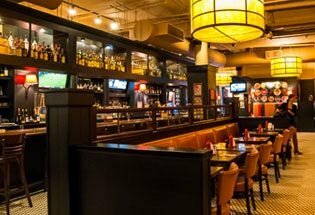 Located in the former New York Times newsroom on 44th Street between 7th and 8th Avenues, Bowlmor is now the Lanes' largest location in NYC. Boasting over 90,000 square feet on two floors of bowling-friendly space, Bowlmor is one of Manhattan's prime entertainment and gaming destinations. Just blocks away from the New Years Eve 2019 ball drop, Bowlmor offers not only a bowling experience but one rife with options! If bowling is your passion, make sure to purchase the VIP Bowling Package with a reserved lane and unlimited trials at bowling a strike! Have fun bowling countless games in one of 50 lanes on the first floor grab a snack, and repeat! Want a bowling break? You can head on up to the second floor, which features a true Carnival-in-a-room with all the best games you could want. From pinball to arcade games, prizes to be won and so much more, there is something new to do and discover behind every corner at Bowlmor's Carnival. Each room in Bowlmor Times Square is aptly themed as a place and space in New York City history, ranging from Central Park to Chinatown, Coney Island and more. Experience all that NYC has to offer without ever leaving these two floors! Bowling and gaming have never been so luxurious an experience as here. Bowling plus gaming, dancing and drinks? Yes please! Come celebrate New Years' Eve 2019 with us at the "Epcot of Bowling" at Bowlmor Times Square! Join us for a spectacular evening of game play and more just blocks from the famous NYE ball drop. With your ticket, you will experience five hours of open bar. Get your drink on with fabulous New Years Eve cocktails of all kinds throughout the night just remember only select packages include bowling with the ticket price. Dress code is festive New Years Eve attire. Look cute to start with… and get more decked out with passed festive New Year's Eve favors all night! You won't leave empty-handed. Bowl the lanes, play the games, and dance the night away while a world renowned DJ spins hours of hip hop, dance, 80's and classic rock with state-of-the-art sound equipment. You can literally party like it's 2018 in this festive, upbeat, perfect-for-any-party-goer venue. With a live countdown culminating in a champagne toast at midnight, your night is guaranteed to be nothing short of epic. Want to really do it up? Treat yourself with one of our unique VIP experiences! 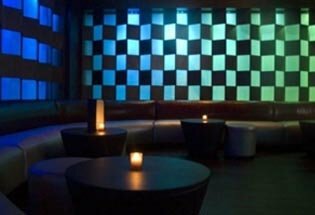 With our custom-crafted VIP packages, you can have your own private bowling lane, exclusive Carnival Lounge access and a table with personal bottle service! Do it up like the VIP that you are with one of our elite packages.